Hi all, details for this ongoing build can be found one post down. THE FLEET AIR ARM GROUP BUILD. Welcome to the FLEET AIR ARM GROUP BUILD! This GB started out in 2007 as the Fleet Air Arm Group Build and it was a great success. We the original members of this GB wanted it to continue in the same "building for fun" format that has kept us together for such a long time. However, we also wanted to make newcomers feel welcome so this post is to explain just what it is that we do around here. This Group Build is about Naval Aviation. In our first year (2007-2008) our theme was Fleet Air Arm aircraft, so anything that flew in Royal Navy markings was allowed. Some of us are still building models on this theme and if anyone else would like to do so, they are most welcome. As this thread is still going strong, we decided to change the build theme yearly. This was the Fleet Air Wing GB and its theme was Aircraft from the US Navy & USMC.It was a great succcess and we really got to see some fantastic builds and made new friends. Year Four 2010-2011. This was when the GB became splintered. Half of us just did not get on with the new site so we left. Some of our number had their say and harsh words were exchanged. This caused an exodus over to the FAA SIG over at Swanny's models. Matt was very kind to us and took us in and for a while things plodded along. Through one thing and another, in my own case working away from home a lot. The SIG did not have the same atmosphere as the original FAAGB. So, the GB was disbanded, with just a small number of good humoured model builders carrying on where we left off. Five years? Where did that go? Well, here we are. Older and wiser.........well some of us! OK, here's the deal. We're here. We enjoy each others company and we enjoy building models. 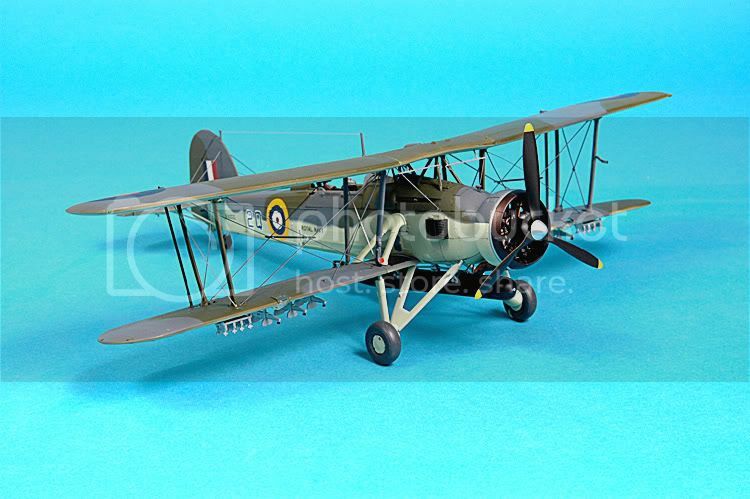 This GB will be open to anyone who wants to build a Fleet Air Arm aircraft. In any scale, with or without aftermarket parts. We don't give a hoot if your a master modeller ordained by Mr. Tamiya himself or a complete novice just wanting to find a easy hang out for a newbie to this hobby. You are all welcome. All you need to do is enjoy yourself and have fun! Be warned though, we do not tolerate rivet counters or puffy chested know-it alls. If that's you, go play elsewhere. This is for the average joe who wants to enjoy and share his hobby with a dash of humour and maybe some good natured nonsense too! So this year its just one or two of us still lurking................unless you, dear reader want to tag along! Everyone listed here has been a member of our GB and this is our roll of honour. USMC COLONEL/USMC SQUADRON COMMANDER EVIL HERC. THE FLEET AIR ARM GROUP BUILD GALLERY. These are the finished builds completed here since 2007. Here, in no particular order are the builds that made this thread live so long. Thanks to all former and present crew members for the pics, these builds are a treat testament to the good times we've had here. Long may they continue! Nice one Scott! Look forward to finding out what you will end up building! I've always loved the Sea Fury. They always make a good showing here at the Reno Air Races. I was doing some digging around and it seems the only kits out there are in 1/72 except for the old Airfix kit. I usually build in 1/48 or 1/32. 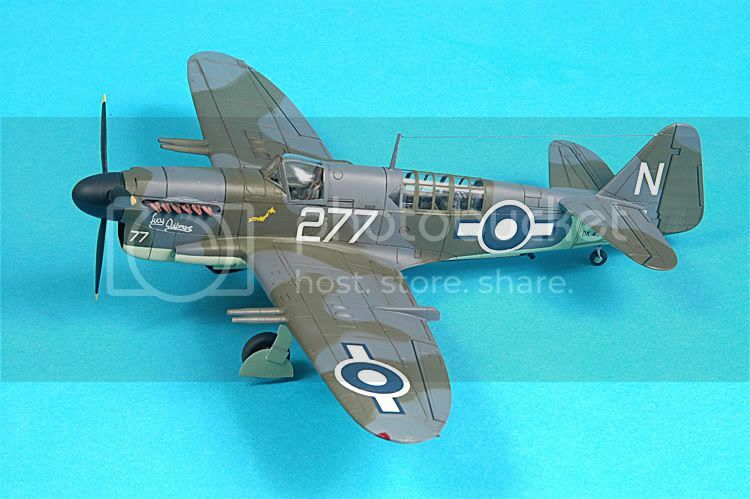 Are there any decent 1/48 Sea Fury kits out there? I understand that Hobbycraft do one in 1/48. I can't tell what its like though as I've not built it myself. I'll see what I can dig up from over here. I think we can say this Group Build is a GO! I've been looking on the net and can't find that kit, it is out of stock at my usual online stores. I'm going to swing by my LHS on the way home in the off chance they have one on the shelf. I was planning on building a Sea Fury, also, preferably in 1/48th (I don't see small parts so well anymore, so anything smaller would be a real challenge); I checked out eBay and, yes, there were a couple of Sea Fury's in 1/48th. Unfortunately, the Hobbycraft kit appears to be a reboxed Zhengdefu; however, the one Zhengdefu kit they have on eBay also shows photos of the actual sprues, so you can see what kind of quality you're dealing with. I may bid on the Hobbycraft kit myself, unless you beat me to it! Thanks for the link Tango, I like what he's done with that kit, looks great! SoD Stitch, I had forgotten about e-bay.... I'll hold off on bidding on anything though so we're not bidding against each other. 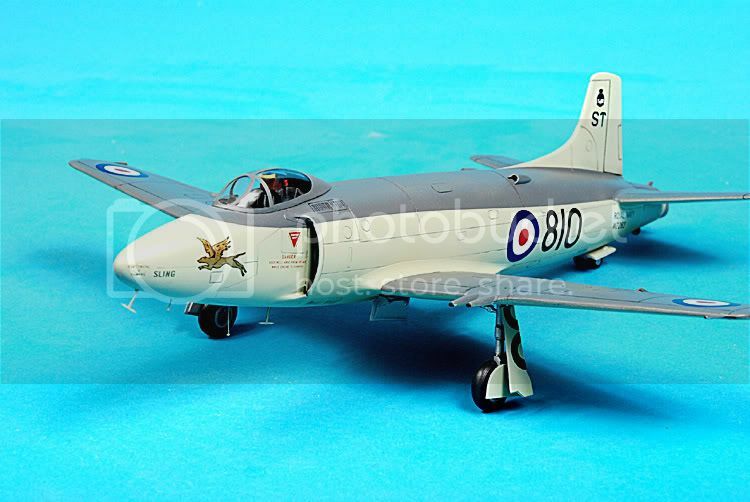 You know what, don't worry 'bout it; I'm starting to think I might rather build a Buccaneer instead (always wanted to build one of those anyway); if you do go the eBay route, I recommend the "Hobbycraft 1/48 Hawker Sea Fury Korea": it doesn't say "Zhengdefu" on it (**cringe**), and the shipping is cheaper. Good luck! I'm afraid with all this talk of Sea Furys I just couldn't resist. I've just ordered the Special Hobby 1/72 Sea Fury which is supposed to be a nice little kit. Although 1/72 isn't normally my scale I'm going to give it a bash anyway. Oh yeah, this doesn't mean I've given up on the Seafire, that's a definite starter as I've just about collected all the bits I need to do the conversion from Tamiya's Spitfire Mk.VB. I'm really excited about this particular GB. Aside from the fact that it's my first, I've also been on a biplane kick for quite some time now, so the Swordfish was a perfect choice for me. I bought the kit when it was first released, and was also able to purchase the Tamiya PE for it. Come the month of April, I'll be ready! "We have our own ammunition. It's filled with paint. When we fire it, it makes pretty pictures....scares the hell outta people." I think it might be time for a Martlet. I'll probably do it late in the build after I clear a few other projects. I'm really keen on this one. Good to have you on board, join in whenever you're ready. I remember seeing that one. Nicely done Darren. Lovely job Darren, I think from memory that is the Airfix kit back dated isn't it? Its an Airfix kit all right, not backdated though, I added a few bits here and there to try and make it more realistic. This is their Mk.I boxing, I have the MK.II or FA.2 in my stash. It is an improvement on the first kit as it has a new engraved panel line fuselage. I plan to re-scribe the wings and put a resin cockpit in it. It'll take a lot of work, so that one is for a future date. I have some other FAA projects in the works, the Hellcat for this GB, then a Corsair then a FG.1 Phantom. I'm sure they will keep me busy for a while! "Now hear this......now hear this....."
We now have 15 members in this build! Everyone is listed on page 1, as you start building, we'll add details about your build so visitors to the thread will know who's building what. A big and a hearty Thank-you to everyone taking part! I'm looking forward to this one, it'll be a blast! Rick, they are great! I wish I had them on my display shelf, you should be very proud of them. All three are very well done indeed. Thanks for letting have a look. I am in awe every time I see your work Rick! BTW I seem to remember you doing a sea fury in the markings of one of the Colonies not too long ago. Some people here would probably like to see that too even though it is not FAA. I'm going to have to order something for this build. Can anyone give me a list of MM acryl colors appropriate for FAA subjects? I might as well order them when I order the kits. I will probably be doing a WW2 or early cold war period aircraft, a Gannett or Wyvern are the likely candidates, although a Wildcat or Swordfish are not out of the running.